What’s an E3 event without a new reveal from Dell’s Alienware division? The company doesn’t disappoint in 2016, rolling out four new products that should get PC gamers scrambling to the bank for a loan or a second mortgage. 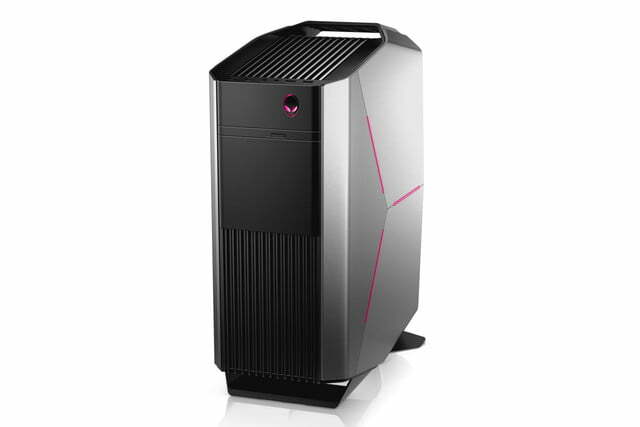 In its new lineup, Dell has introduced the Alienware Aurora mid-tower desktop, the Alienware Alpha R2 compact desktop, the Alienware 13 laptop with an OLED screen, and the strikingly elegant, triangular Area-51 desktop. 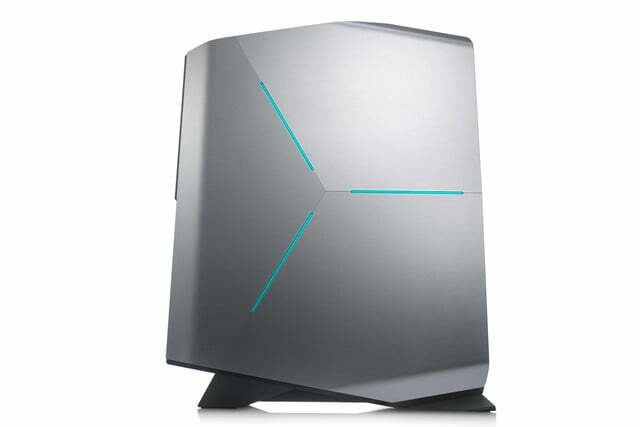 First, let’s start with the Alienware Aurora desktop. This gaming solution measures 18.6 inches tall, 8.3 inches wide, and 14.1 inches deep. It’s capable of cramming in two 300-watt graphics cards, six storage drives and an optical drive, overclocked Intel K-series processors, high-performance CPU liquid cooling, and a MicroATX motherboard. This rig’s internal arrangement is designed specifically to push ambient air towards the hottest components, and push the heated air out through vents located on the top and the back of the system. 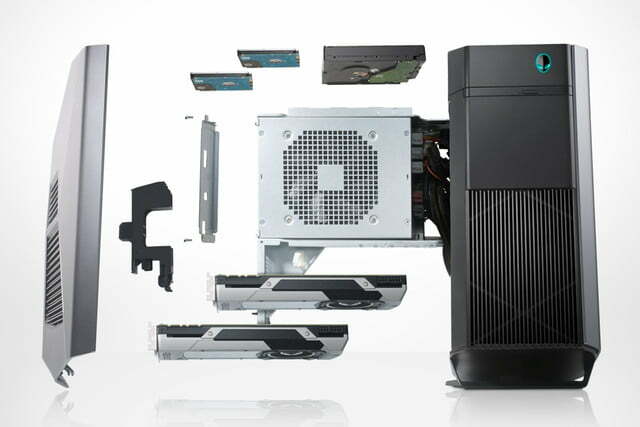 Dell says that the chassis used for the Alienware Aurora supports tool-less graphic card upgrades, a first for the company. The chassis also provides tool-less access to the hard drives and memory, allowing owners to quickly upgrade components without a lot of hassle. The chassis includes Alienware’s signature AlienFX customizable lighting system to dazzle friends and liven up the living room. 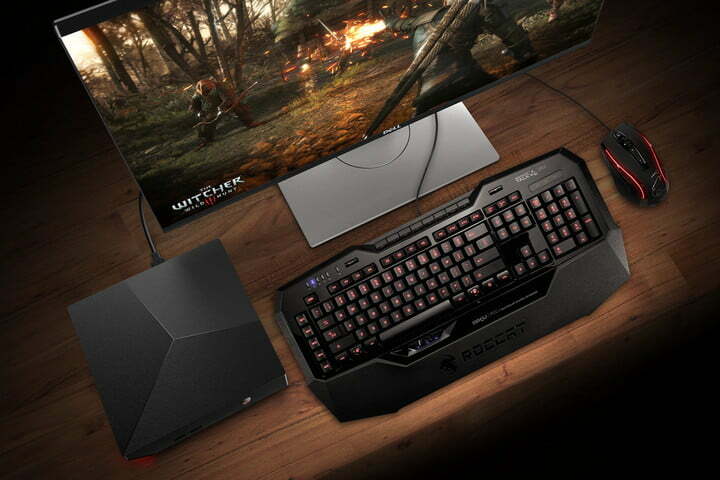 The company points to key optional features that can be loaded into this gaming desktop including a quad-core Intel Core i7-6700K processor overclocked to 4.2GHz on all four cores, two Nvidia GeForce GTX 1080 graphics cards in SLI mode, and 16GB of HyperX Fury DDR4 XMP memory clocked at 2,400MHz. This desktop can also simultaneously pack a single 1TB M.2 PCIe SSD for booting only, and two 2TB 7,200RPM hard drives in RAID1 for storage. Of course, like any other Dell product, this desktop can be customized before purchase. There are actually five processor options starting with the dual-core Intel Core i3-6100 chip with a clock speed of up to 3.7GHz. The graphics card options mostly consist of Nvidia-based solutions in single and dual-card configurations. However, AMD fans can grab a single Radeon R9 370 card or two Radeon R9 370 cards in CrossFire mode. On the memory front, there are four slots supporting 8GB to 64GB of DDR4 memory clocked at 2,133MHz or 2,400MHz. 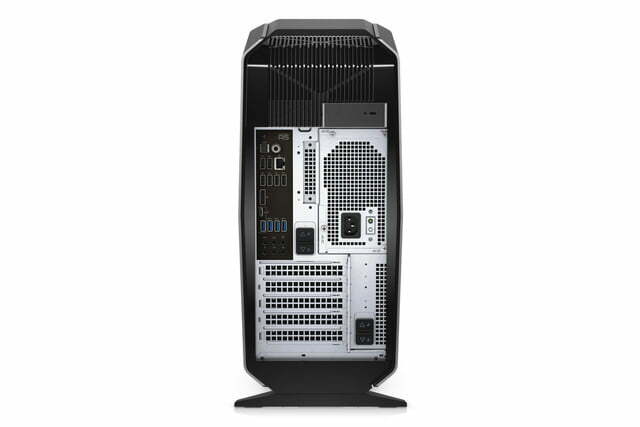 The storage options are long, and the connectivity support seems even longer with a huge number of ports mounted on the back and on the top. Just on the rear panel alone, there are six USB 2.0 ports, one USB 3.1 Type-C port, one USB Type-A port, a gigabit Ethernet port, two surround-sound jacks, a microphone jack, a line-in jack, and loads more. Dell did not state what the starting price of the Alienware Aurora will be, or when it will become available, at the time of this writing.